This has got to be the most packed new release week yet, with developers trying to get their titles out before next’s week’s Fourth of July holiday, which is typically dominated by loads and loads of App Store sales. I still plan to have a post going into more detail on the paid releases, but there are just so many FREE titles that I’ll be giving a brief overview of the landscape. Some of these titles can be downloaded right now, the rest will be showing up (in about an hour) around 11pm EST tonight…so if the link doesn’t work, check back a little later. Kicking off the free-to-play madness is Wargaming.net’s hugely popular World of Tanks MMO franchise which currently boasts in excess of 75 million registered players. 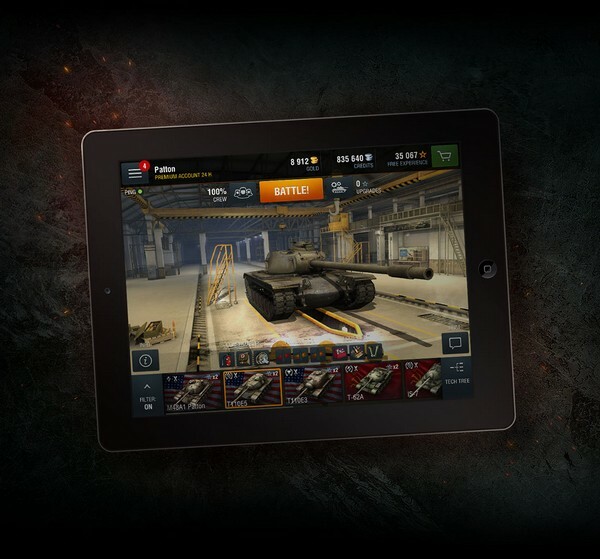 Their mobile-friendly version of the game, World of Tanks Blitz rolls onto the App Store tonight and from what I’ve heard from press friends who saw it at E3, it is quite good. It will feature 96 different tanks from the United States, Soviet Union and Germany. At launch there will be eight different maps allowing for seven-on-seven battles. So if you haven’t checked this out on either the PC or 360, now is the perfect time to get hands-on with it. Next we have another quick playing game from Jared Bailey, who this time takes on the sport of bowling and puts a little fire under your funny shoes with the fast-paced Bowl Faster. FDG Entertainment, makes a puzzle game out of origami in Paperama where players try to recreate a papercraft masterpiece within a given number of folds. Newcomers, Tokyo Traffic Jam offer up a rather stunning looking 3D single touch platforming game called To The End. You must guide a tire through the obstacles in each level, the catch is that the tire only moves while your finger is on the screen, so you need to time things just right. Can you make it through all 13 levels with just a few lives? If not…try, try again. If you enjoy puzzle games, then there are several new ones arriving tonight that might be of interest. After treating us to LEX earlier in the month, Simple Machine is back with a number puzzle game called Digits, where players attempt to reduce a gridded board of numbers down to zero. Causality – Classic Puzzle Game Reimagined is the classic puzzle game of trying to flip all the blocks in an oddly shaped board to the same color, except new gameplay elements are added a you progress through the game’s 240 hand-crafted levels. A blend of simulation and match-3 mechanics, in Puzzle Tale you must match food, plants and other supplies, to build your kingdom. “As monsters will get into your way – wipe them out of your screen by making curvy matches”. Renatus Media’s game tries to be family friendly with a focus on “construction rather than destruction”. Looks like a fun take on match-3, it reminds me of another game which I cannot recall the name of at the moment. 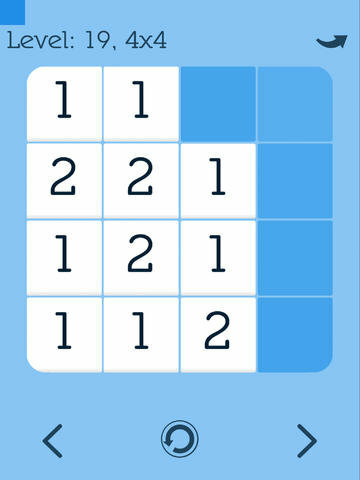 Square Siege is a strategic high-scoring arcade game in which players attempt to crush various types of squares into walls before they fill up the screen and smother you”. 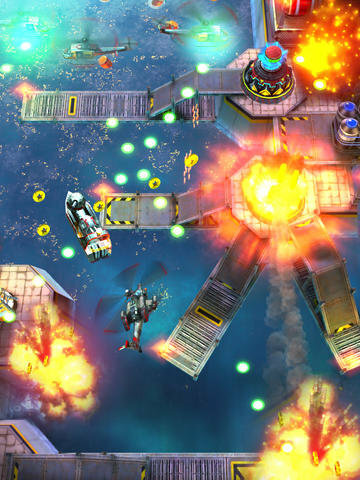 Meanwhile, Bulkypix is back again this week with HELI HELL, an explosion-packed one-touch shoot-em up with some nice looking visuals. Pine Entertainment takes a stab at re-imagining the classic game of snake with simple flick controls, power-ups and level-based gameplay in their newest app, Super Snake. Then there is Super Pixelander, a pixel, weapon and hat-infused take on the classic lunar lander formula which has pilots trying to “collect precious space gems while surviving the dangerous asteroid belt filled with alien attacks and molten lava”. Remember the Atari 2600 classic River Raid? Well now it has been remade for iOS in as close to a copy as possible (graphics, sound, gameplay scoring, etc) using the game’s original maps, with 60 new maps planned for each update. I assume this is all legally on the up and up and the game is completely free and you have 3 lives, but can continue further by watching video ads. The follow up to Major Magnet, Major Magnet: Arcade features 75 all-new stages with the same familiar magnetic physics-based gameplay, revamped with an arcade twist (whatever that means…I guess we’ll find out soon). Ghost Crab Games’ fast-paced reflex game, Bungle! has players frantically trying to perform various jobs (sushi chef, cannon clown, paperboy and more) while their boss is watching…mess up and you are fired. “In a world ravaged by an endless energy war for AEther, the fight has taken to the skies in deadly flying arenas”. 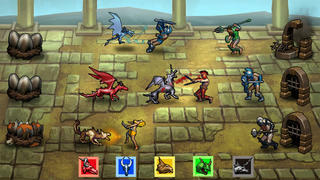 AERENA – Clash of Champions is a new turn-based strategy mobile game from Cliffhanger Productions in which combatants wage war in 10 minute cross-platform battles. If the screen shots are any indication, the visuals are quite pleasing. To celebrate the release, Cliffhanger has launched a competition that will reward $1,000 to whoever takes the crown of AEther Master. Relentless Software Is back with another hidden object mystery in their ‘Blue Toad’ series. You must board the Enigma Express to help “sassy super sleuth” Hannah Dakota track down the eight mysterious objects stolen from a secret vault belonging to incarcerated criminal mastermind Five Fingers. How about a little tower defense? InAlien Creeps TD you get to use a cool looking variety of towers and upgrades to defend the Earth from an alien invasion. 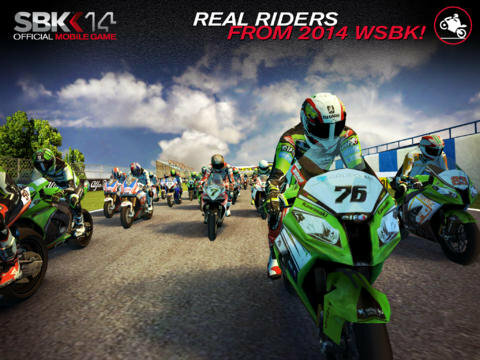 First, SBK14 Official Mobile Game is a beautiful looking Superbike racing game featuring 13 officially licensed tracks from the FIM Superbike World Championship circuit as well as 27 drivers. This one has some great looking 3D graphics and looks like a blast to play. No Brakes on the other hand, takes it to the other extreme, with a minimalistic design, a single track and no top speed. Go around the track in any way you can as fast as you can…”One track, pure racing; nothing else”. HexSweep, a level-based futuristic racer, where you are zooming around a multi-sided track and you must rotate around the actual track to avoid obstacles and run through boost gates. 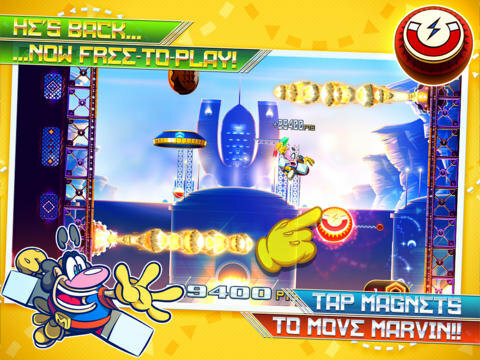 At first glance, Monsu looks like a cartoony endless runner, but it is classified as a collectible card-based platformer. You play as the title character, Monsu as he smashes, bashes and crashes his way through multiple environments collecting “tons of unique, epic and rare companion cards” and upgrading them “for the ultimate fighting force”. There are actually several new endless runners hitting the store tonight, the first of which is Run Forrest Run, which yes…is based on the Academy Award winning Tom Hanks film from 1994. Perhaps a bit late to the party, but well-timed with this latest Honest Trailers video, the game recreates the iconic scene in the film when Forrest Gump sets off on his cross-country run from the Alabama countryside, along the famous Route 66 and beyond. 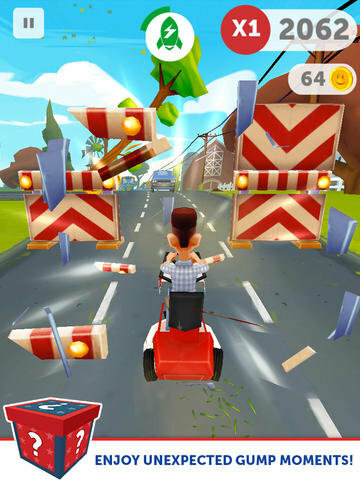 Swipe to avoid obstacles and keep Forrest running. See how far you can fly in Astro Dash! when you hop into your spaceship and utilize the gravitational pull of passing planets to help propel yourself forward, collect coins and restore fuel. Try to go as far as possible before running out of gas. Offering both a level-based and endless modes The Amazing Dash : New Season is a silly running adventure game that will have you dashing and dodging on piggyback, turleback and more. Looking for something with a bit more strategy? Lead your army of Gladiators, Zombies, Dragons, Mythic Creatures, Samurai, Knights or Wizards into a real-time battle in the fantasy real-time strategy game Armies of Monster Mountain. Guild of Glory Is a medieval-themed empire building game in the vein of Clash of Clans where players build, and defend their own kingdoms and attack other players. Within your city you can “create attractions for your people by building entertainment like the Dancing Bears, the Circus, Jousting Tourneys, and more.” If you like this sort of game (which I do not) then it may be worth checking out. Master of Craft is an all-new Super Nintendo-style RPG, but rendered in some nice looking 3D graphics. Players “craft, produce, and operate a market to manage their very own town”. The game takes a unique approach and appears to focus on the market and selling goods for top dollar portions of the game allowing you to build and craft up to 270 unique special piece of gear. “Skills and gold are the only things that require your active taps during the battle, allowing for a stress-free and fun experience!” Interact with your friends by asking them for materials or help in battle. 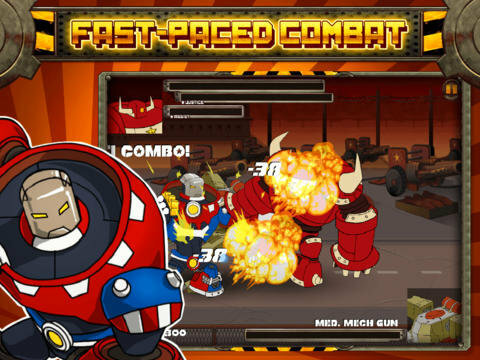 Finally, from Kongregate we get Warbot Assault, a fun looking arcadey cartoon mech fighter where you battle against other players’ mechs and progressively upgrade your mech’s armor and weapons as well as boost your base’s defenses as you level up. Phew…and that will about do it for the freebies. I’ll try to add some trailers to subsequent pages in this post (to make page loading faster).